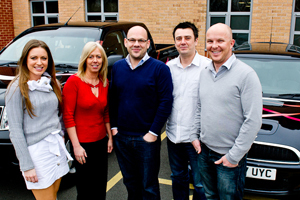 Stones Events has moved into a new office as part of plans to grow its b2b events business in 2011. The Leicestershire-based agency currently employs six full-time staff, and plans to appoint a new account manager, assistant event planner and food designer this year. The agency expects to grow the value of its corporate business by 26% for the year ending December 2011. Stones Events managing director Tom Goodwin said b2b event bookings since January were up 50% compared to the same period last year. He said: "We weathered the recession in good form. These new premises represent us investing in growth for the future. We have a pipeline of new commercial projects that is expanding."